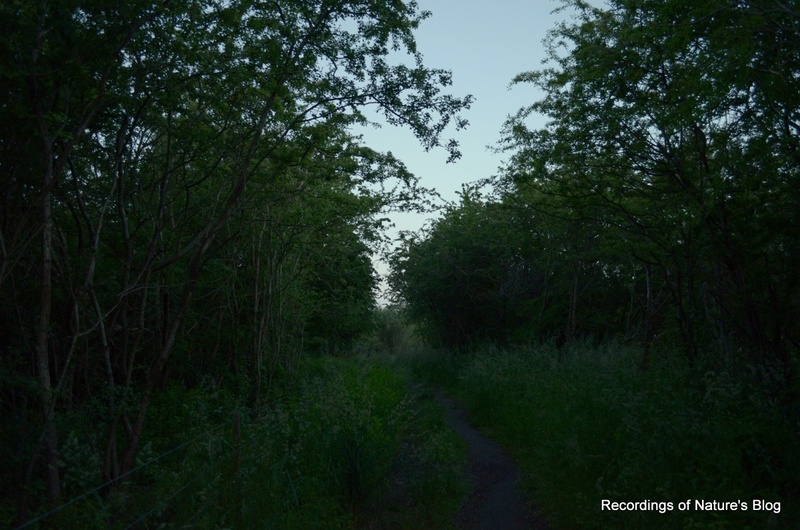 Unattended night audio recording from Amager fælled, 10-11 June 2017. Nice clear sky evening, about 15C and mostly calm. It is June and officially summer. It can not only be felt by the sun intensity, but also by the distinct smell of fresh grass and the meter high vegetation everywhere. 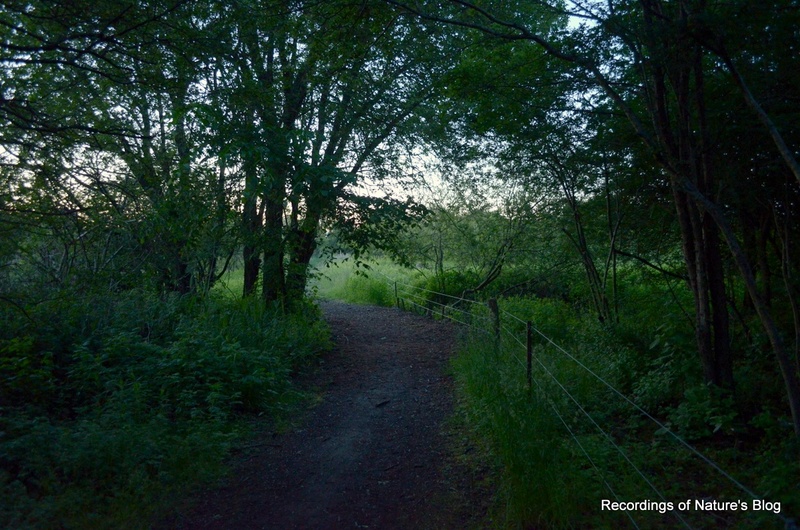 I really like this period up to Midsummer with the moderate temperatures, abundant green growth and plentiful birdsong. 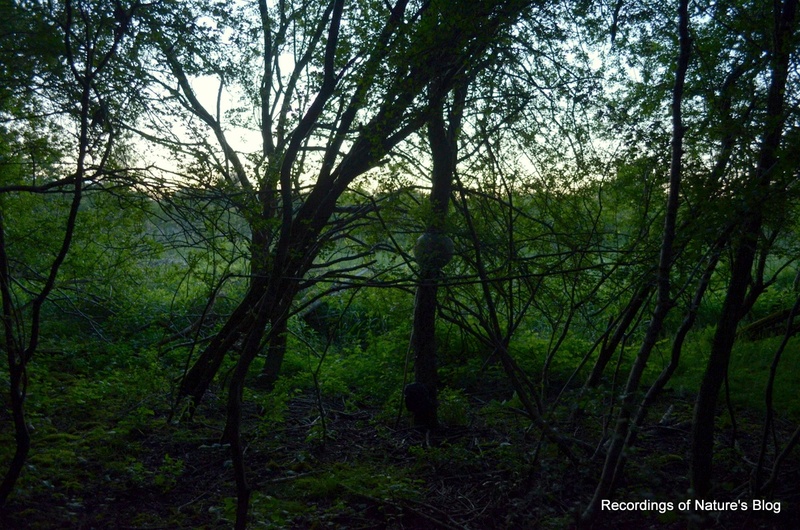 The tree ears microphone setup, Amager Fælled June 11, 2017. Click for large version. 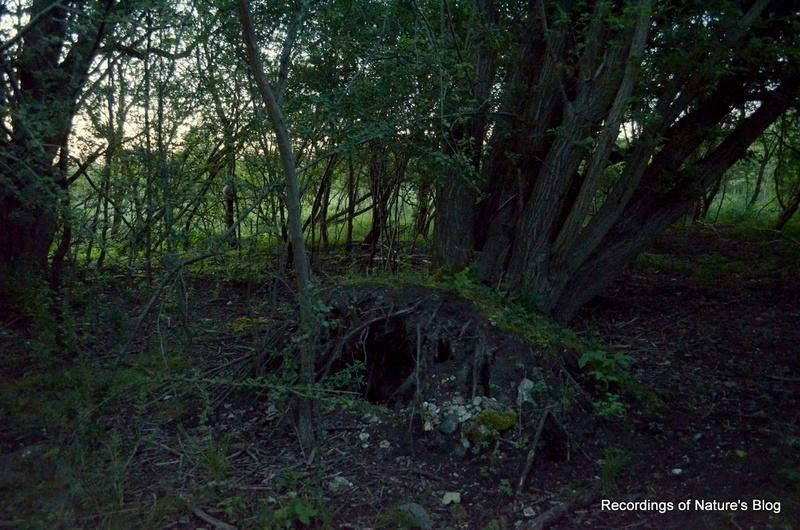 I found a good undisturbed spot in a group of bushes and trees. 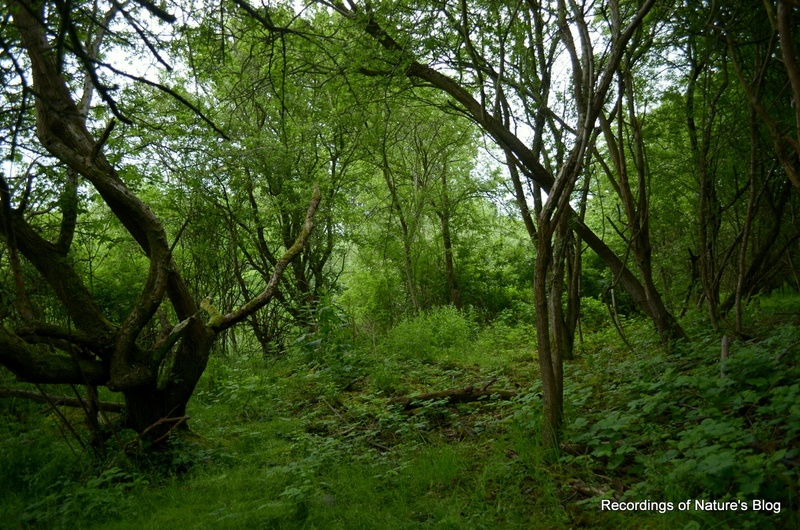 With the microphones pointing out towards a grass meadow, I was expecting to hear sounds from the open area. 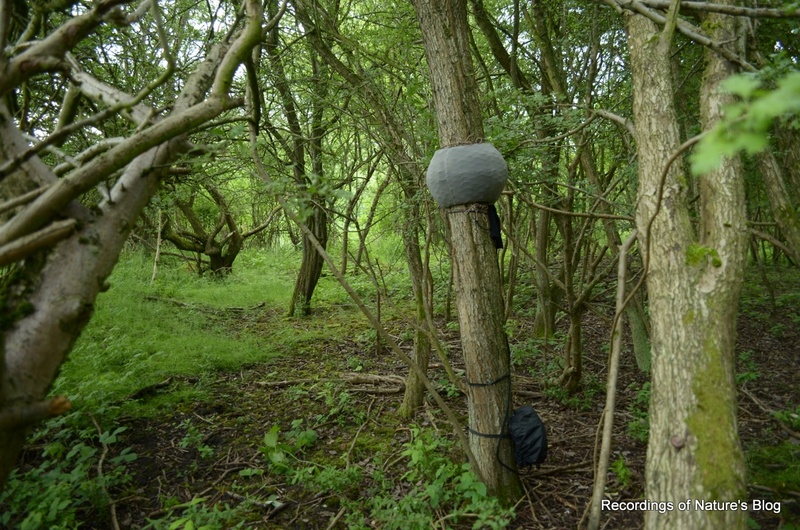 Instead most sound came from the sides inside the canopy giving a very R-L stereo perspective of the recording. 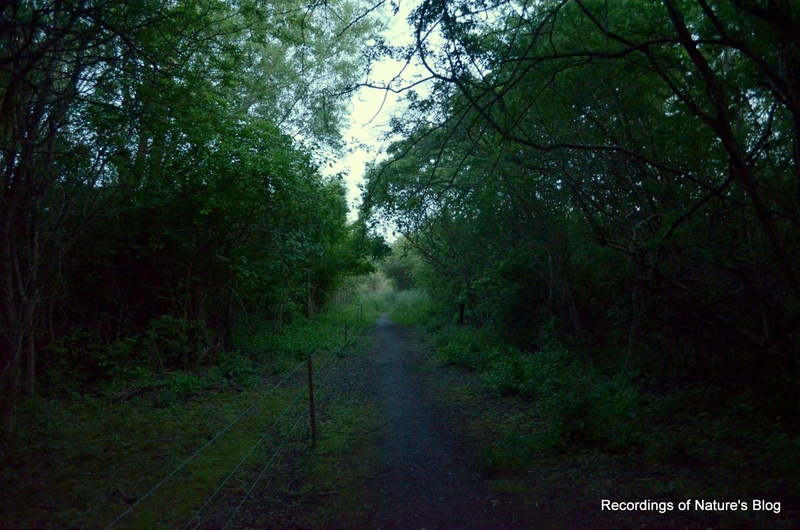 The clip below is from 2:45 to 4:15 am, starting with night ambience, dominated by two singing nightingales. Along with the emerging light more birds wake up, gradually forming a full morning chorus around 4 am. 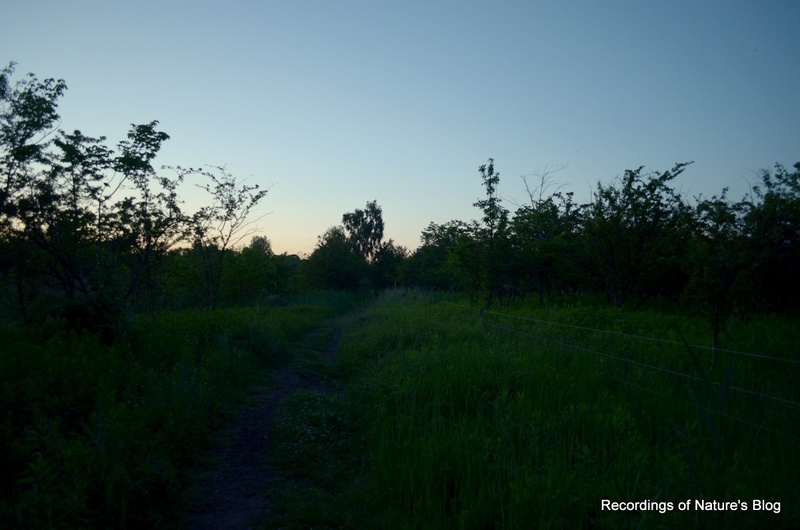 Through out the recording, there is of course also of traffic and party noise, something that cannot be avoided on a Friday night in June at this location. 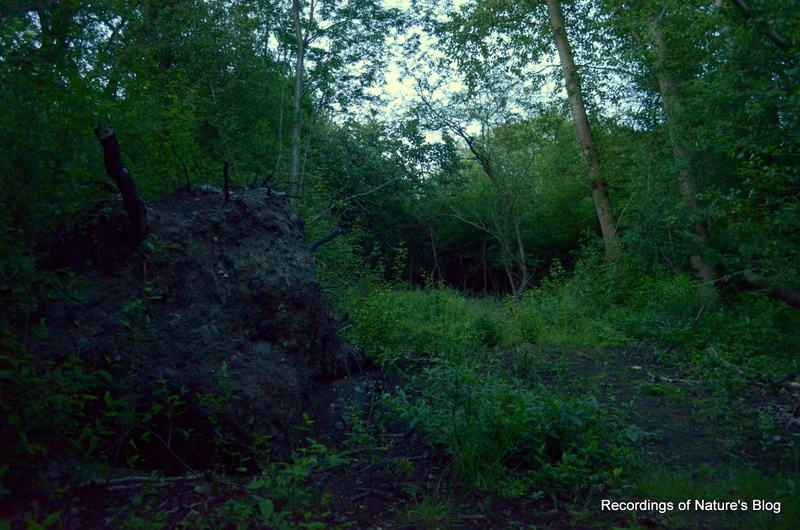 These are obviously the natural sounds of humans in the spring / summer. Below various images of the evening and morning atmosphere. Amager fælled is a really nice area with diverse grass meadows, wild bushes and forests, water channels and reed forests. It is hard to imagine, that this area just 40 years ago was merely a large junk yard and landfill area. 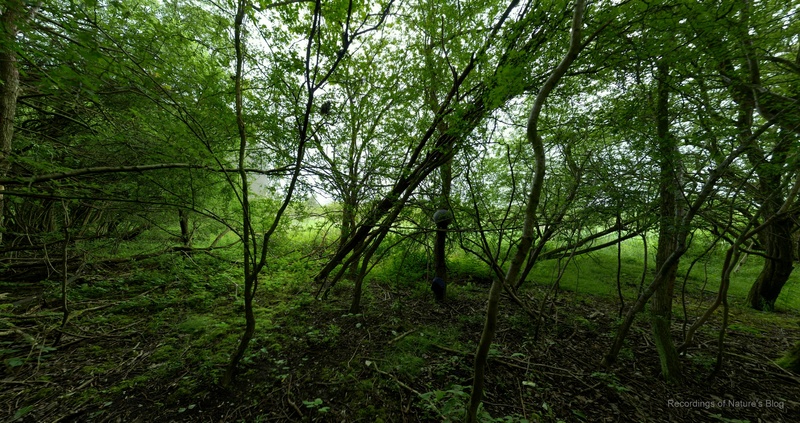 Since then a layer of soil has been added to cover the depositions. 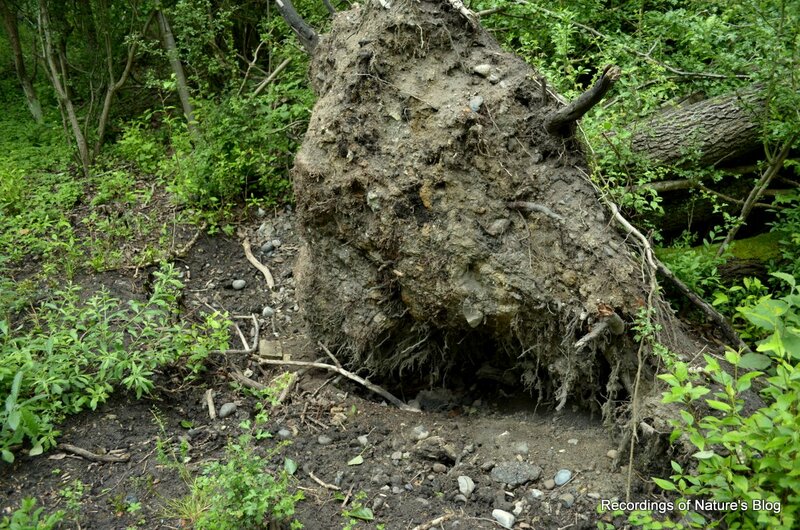 There saw few fallen trees just behind the recorder and when inspecting the hole from the roots it was clear that the ground also here is full of building bricks and asphalt debris just 40 cm below the surface. It is simply amazing how rich nature and bird life can develop from such a questionable basis and in such short time duration. All it takes is to leave it on its self.